The city was captured by the aliens, only you can save him! 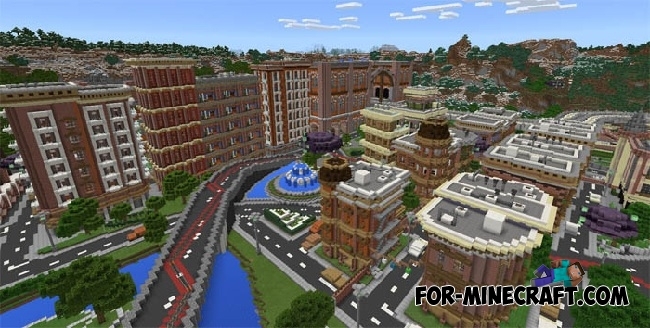 The map was created by Mojang to demonstrate the capabilities of the new version. The task is quite simple, grab the necessary mechanism to bring down the alien ships. 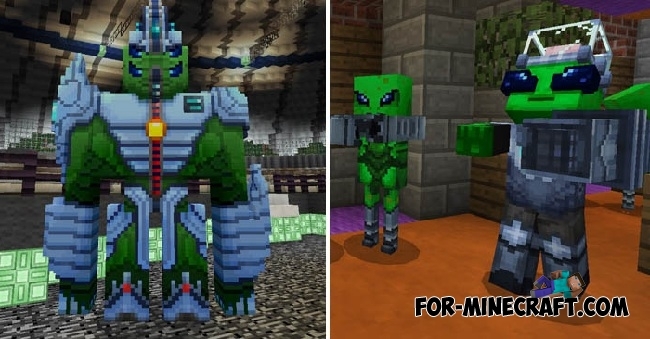 They look pretty cool, actually a zombie and iron golems replaced by aliens, but their texture and the behavior itself are now completely different. It is surprising but some UFOs really fly! Quite interesting to watch it but do not forget that you have to destroy every ship to save the city! Will you be able to renew this glorious town after saving the world? IMPORTANT: It is worth considering that the Alien Invasion map will be very slow on weak devices, because this map is huge. Alien Invasion map for MCPE 0.12.1 / 0.12.2You have the opportunity to visit the new map, called "Alien Invasion". In addition to the map, the archive contains some amazing mods.